My love of Walt Disney World began in November of 1971 and grew with each new trip and adventure I experienced with my parents and brother. But my interest and fascination grew in large part to what I experienced not while in the parks, but in the car or at home, as I loved reading, collecting and learning everything I could about what made this place special. And getting to peek at photos from construction to behind the scenes or even of my favorite attractions fed my love of Walt Disney World even more. 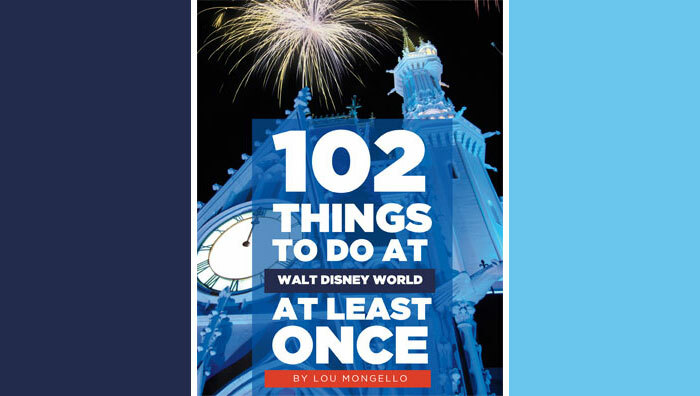 And over time, my interest, and book collection has grown, so this week, we’re going to share our 10 Walt Disney World Books That Need to be in Every Fan’s Library. Whether you are starting your collection or looking to expand, there’s definitely a book (or 10) in this list for you. 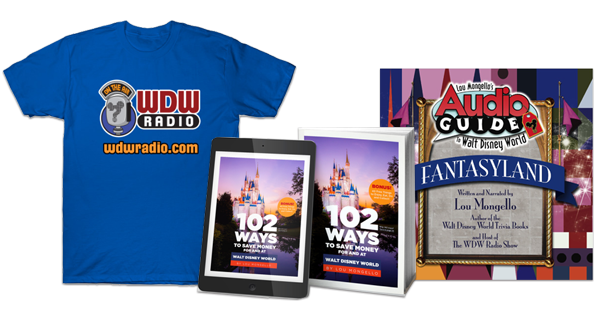 QUESTION for YOU from this week’s show: What is YOUR Walt Disney World book or “Holy Grail” of books? Share your thoughts in the comments below! Fantastic episode! Please do a follow-up episode with more books. I’m very curious to learn more about that cast-member only book that you mentioned. Thanks for all the great work you do, Lou! Hey Lou! I loved this episode of the podcast but I had one question; could you list all the books that you mentioned so I can easily find them please? I listen to your show in the car and am not able to write down or search while listening since I’m driving. Thanks! Enjoyed this and please do a Part II. Loved the podcast ! My 17 year old son is a nut for anything Disney World so it gave me a chance to make a list of a few books to pick up for Christmas !!! Love your book shows ! Sounds like you cut the discussion short due to time constraints. Were those your own constraints, or some limitation on podcast length? Why not talk as long as you have something interesting to talk about and break into separate episodes if necessary ….. I for one could listen to that continue for hours. First time listener here, and I have to say I am hooked!! This Podcast was GREAT! You have me wanting more for sure. Please have more episodes discussing Disney books! Loved the show! Please do more episodes featuring Disney Books. Like Chris M, I listened to this podcast in my car. Please could we have a list of the books mentioned? Could we get a written/typed list of the books? I was driving and couldn’t write down the list. A list of all the books you two mentioned would be awesome! I have two that I would add to the list. – For anyone who has walked through the Train Station tunnels and enjoyed the attraction posters, “The Poster Art of the Disney Parks” is a must read. It is a very large coffee table-style book with beautiful copies of attraction posters, and it covers the process of design and production of these iconic pieces of work. – For the kid-at-heart, you have to read “The Story of the Disney Bear – A Day at the Magic Kingdom”. It tells the story of Mickey and the Disney Bear visiting Magic Kingdom for the day. Shortly after its publication, the Disney Bear was given a name, Duffy. Loved the show! Please have a follow-up program. You have so much to cover on “cover to cover”!!! Not since the Smells episode have I seen such a great response! Lou, I think you have a winning topic here. I also want the list of books you discussed and want more information about other books. In fact, a natural extension of this would be to have a “Book of the Month” segment and showcase a new or even out of print book each month. There’s no way you could ever run out of new items for this segment either. I bought a few used books as a result of this episode. I’d love to hear a Disneyland equivalent. Thanks for the list Lou, I have ordered a few already!!! Love this episode! Thank you for sharing years of knowledge and collecting with us! Can’t wait to start my own book collection! Please do a follow-up!! You really need our confirmation that we love this topic? Please do more of this type of podcast. For people like me who live on the west coast and only go once every 5-6 years I am very interested in reading any book possible. My go to book prior to any Disney trip is “Walt Disney, the man the myth” I love that book and have read it easily 15 times. Keep up the great work! Excellent show!!!! Please do another show like this!! Great way to learn about which books to get for facts about Disney world and the Disney company!! Can’t recommend The Haunted Mansion: From Magic Kingdom to the Movies enough. Glad to see it on the list. Absolutely LOVED the show. I am relatively new to the Disney/WDW scene and after our first family trip I fell in Love with WDW. Every time the family and I go down I am completely in “awe” in not only how the park was made, but the process things went through to get there and also how much growth and development has taken place to the #1 vacation destination in the world. I am so glad I am not the only one and REALLY enjoyed the podcast. I would love to hear more about other books so I can build my Disney library and learn a whole lot more! I really liked this episode. Please do a follow up show. One idea is to list all of the honorable mentions in the show notes. Hi Lou. I loved this show. I hope you do more shows like this. As a Disney fan who also loves to read this was an extra awesome podcast! I’d like to add in my vote for another podcast (or two or three)continuing the subject! The series I’ve been enjoying lately is the “Walt Disney Animation Studios Archive Series”. I received the “Design” volume as a gift and I currently see the whole series available in the Disneyland Parks. I love the illustrations! “Disney During World War II: How the Walt Disney Studio Contributed to Victory in the War” by John Baxter for him at the American Experience pavillion in Epcot last February. Just browsing through the book has been so interesting. I had no idea how much of a positive and informative presence the Disney company had during WWII in support of the Allied Forces. Highly recommended. As a librarian, I’m always interested in books. I’ve been working on a Disney bibliography (now up to 6500 titles). I didn’t have some of the ones you mentioned, but they are added now. Excellent podcast! More Disney books please!!!!!! Encore, encore! We want more! Great show guys, would love to hear a part 2! Forgot to mention two of my favorite books. Both are excellent books on the mindset of imagineers. I’m a book but and amazingly enough I don’t own any Disney books, but have read all that I can get my hands in through the local library. Which, sad to say, is not much. Lou, I need to hear MORE! Please!!!! I didn’t realize that there were so many books out there. Please share more books with us!!! Great show, as always. I would second the motion that “Vinyl Leaves” is a great semi-academic analysis of the Magic Kingdom, and I couldn’t put it down. Great show. I also love the idea of a follow up show or a book of the month segment. Please do a follow up show!! Great show, would love to hear a follow up show or a book of the month type segment! I ordered a few the books discussed, so much fun to review them. Thank you! Just listened to this podcast last night. I was quite skeptical of the topic at first but I did a “go with me” and stuck with it. It was an awesome show. The only downside is I’ve been trolling ebay and half.com looking for books all day! Please do a part II. Very much enjoyed this episode. As you were talking, I suddenly remembered back to somewhere around 10-15 years old (I’m 41 now). I can’t remember the name of the book, but I remember it was a Disney book with lots of pictures and behind-the-scenes, stuff I just can’t get enough of. Like you, I bring back every soap, coaster, pen and notepad from every trip. Do another book show. Well done! OK, so I’m late to the party, but only listened to this last night! (playing catch up), I had a pen and paper and was making notes! Anyway I loved the show, and had a few of the books mentioned. I am on the other end of the memory you first mention in this episode, as far as a son being on his father’s shoulders. I have wonderful memories of the first time we ever took our boys to WDW back in 2002 and having the greatest time carrying my 5 year old son (wearing his Tigger visor upside down) on my shoulders through the parks, the whole week. It was the easiest way to wait in line IMO. And a great way to get exercise as well! Love that memory. Currently, I think I have 3 or 4 of the books on today’s list, and have some of the others tabbed in my web browser. Love books! So yes, another episode on books would be awesome! Can never have enough. Thanks again for another fantastic episode, Lou and Scott!!! How about we celebrate with a little cheese? LOL!